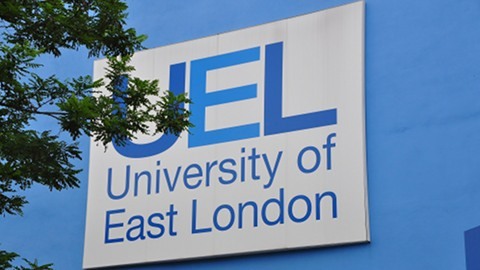 The University of East London has launched a bursary scheme to help students from colleges in Hackney, Tower Hamlets and Lewisham. The UEL National Scholarship Programme award is for a total of £3000, and will be available to students from 19 East London partner colleges. It will given to those who choose UEL as their first preference institution on UCAS, and whose household income is less than £25,000. The award comes in the form of £1000 in cash for the student’s first year of study, and a further £2000 in credits, which can be used to pay for books, travel, accommodation and materials throughout their course. 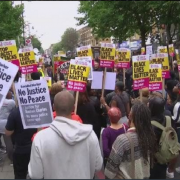 The plans come after the announcement in April that the university would be charging £9000 fees. Hafsana Akthar, 18, a student at Hackney Community College, told EastLondonLines she wanted to go to university last year but did not feel she could afford it, and instead decided to take up a yearlong apprenticeship scheme. However, after hearing of the bursary, she is now hoping to go on to university next year. The colleges who will benefit from the bursary include Hackney Community College, Clapton Girl’s Technology College, and Brooke House Sixth Form College in Hackney. 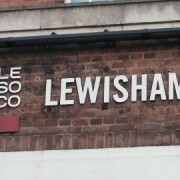 Other schools include Crossways College and Lewisham College in Lewisham; Tower Hamlets College and Sir John Cass Redcoat Foundation and Secondary School in Tower Hamlets. UEL already offers an annual ‘progress bursary’ to all full-time home undergraduates, which will be topped up by £2000 for those also in receipt of the NSP bursary. Students receiving the funds will still be able to apply for student loans and grants. 1.) Is it on a first come first basis I heard a rumour that it is for the first 300 students as there could be a couple of thousand students who might qualify who have less than £25,000 income in their home. 2).I am a mature student is is limited by Age . 4). I also wish to have all my £3000 NSP to take off MY fee. When will I know that I qualify for the full amount of £3K scholarship as I will have to apply for the full fee loan amount and I do not want to order more loan than I need. (What fee loan do I ask for then) . 5). How does this work as UEL could be overpaid in fee loan. I say all this as we are told that we have to apply for the funding early in January/ February. 6) in your story above you infer that Mr Hafsana Akthar, 18, been told already that he qualifys for NSP this is a really quick decision. I take it then his family household income is less than £25k are you sure? (as i have been told something different ) and if this is the case then he will not qualify for the grant either. Thanks for your comment. In my understanding there is no limit on the number of students who can recieve the bursary. Any student from the 19 named colleges is eligible, provided that UEL is their first choice and that their family income is less than £25,000. 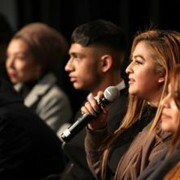 Miss Akhtar has not been told already that she qualifies for the bursary; her comment was based on the fact that she fits the entrance criteria, so would be able to get the bursary if she applies successfully to UEL. I apologise for any confusion. I’m afraid I can’t help you with the enquries about mature student and disabled student eligibility, but you can contact the Student Money Advice and Rights team at UEL on 020 8233 6200 and they will be able to help. 1. The full eligibility criteria are available on our website at uel.ac.uk/nsp. We will honour our financial commitment to all students who meet the eligibility criteria. 2. There is no age limit in relation to eligibility. We expect mature students to progress from Access courses at our partner colleges but we are also offering the same NSP bursary package to students progressing directly from our own intensive access programme called New Beginnings 2. Again full details are on our NSP web page. 3. All students, regardless of disability will be awarded the bursary if they meet the eligibility criteria. 4. NSP is a bursary, not a few waiver so it is not possible to deduct loan from fees in this way. 5. NSP is a bursary not a fee discount/waiver; it is additional funding to the student to support them through their studies. They will still be charged the full fee as we don’t offer fee waivers and therefore would need to apply for full student loan. Please do contact the Student Money Advice and Rights Team for information tailored to your individual circumstances.